INAUGURAL co-captain Callan Ward has given Greater Western Sydney fans a massive gift ahead of round one after signing a new long-term deal with the club. Ward, 25, was due to come out of contract at the end of this season, but has put speculation over his future to bed with a five-year contract extension, tying him to GWS until at least the end of the 2021 season. 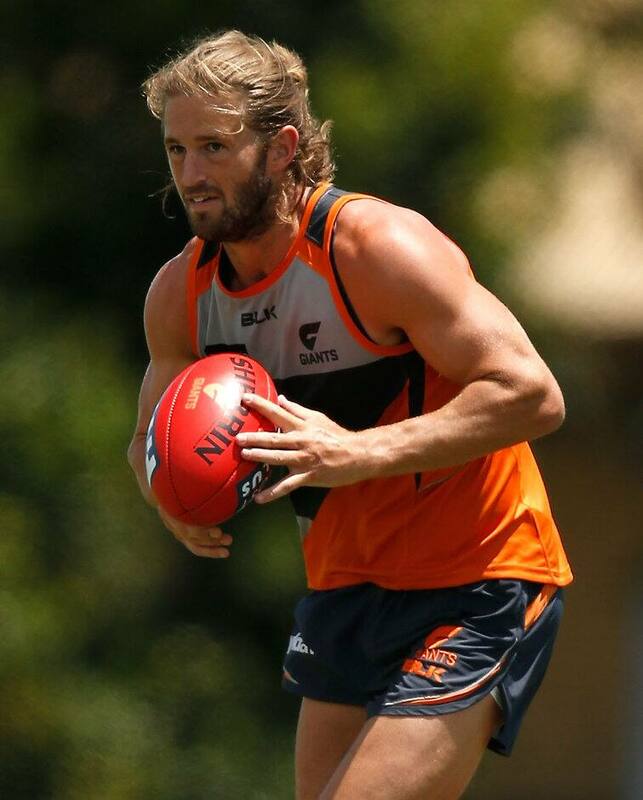 The tough midfielder has often spoken over summer of his desire to remain a Giant and he becomes the latest star to commit to the club, after Jeremy Cameron, Dylan Shiel, Stephen Coniglio and Devon Smith all resisted the temptation to leave in 2015. Senior coach Leon Cameron joined his players after extending his contract earlier this year. The Giants' first club champion in 2012, Ward said that despite the prospect of some significant offers being thrown at him from other clubs later in the year, he'd never considered continuing his career anywhere else. "This is where I want to finish my career so I had no hesitation in putting pen to paper," Ward said. "The club has come a long way since I first got here and I'm very confident we're heading in the right direction both on and off the field. Cameron was understandably ecstatic to have Ward's signature in the bag just days before GWS start their season against Melbourne at the MCG. The former Bulldog is one of the most respected players in the competition, and to show off his remarkable consistency, Ward has finished on the podium in the Kevin Sheedy Medal in all four of his seasons at the Giants. “To have Callan commit to playing out his career at the Giants is a tremendous show of faith in our young club," Cameron said.